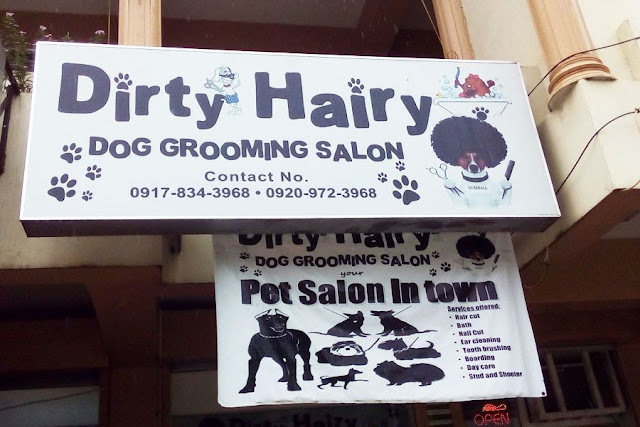 Spotted in Rizal Avenue, Puerto Princesa City, Palawan. 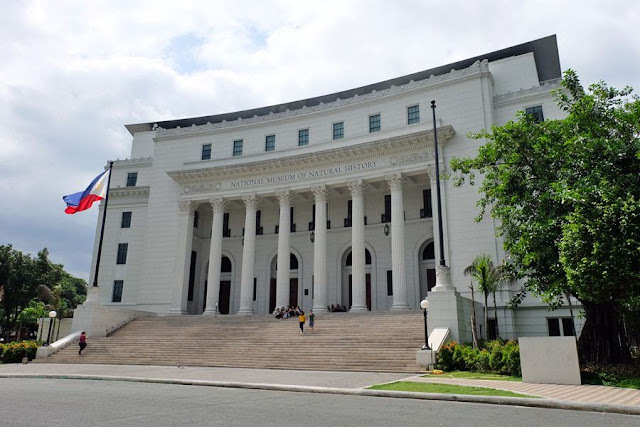 The Philippines' National Museum of Natural History opened on May 18, 2018. At the time of my visit (August 2018), only seven of the twelve galleries have opened, the other five were still works in progress. 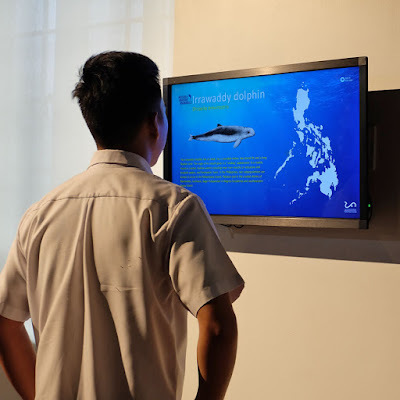 There are exhibits about the Philippines' UNESCO Natural Heritage Sites; species of plants and animals that have been discovered in the country; mangroves, beaches, wetlands, and forests in the Philippines; and marine, plant, and animal life of our country. There are replicas (such as Rafflesia, the world's largest flower, which I learned we had 13 species of! But, sadly, endangered. 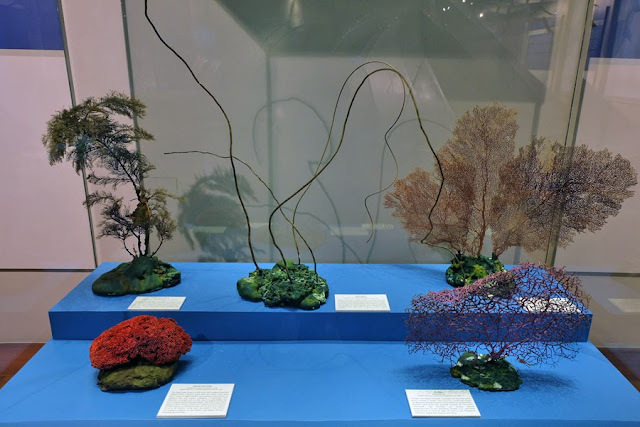 ), miniature models (such as the lakes in the Philippines), life-size models (making you feel like you were walking through a forest or a mangrove), taxidermied animals, pressed plants, interactive zones, and activity areas. 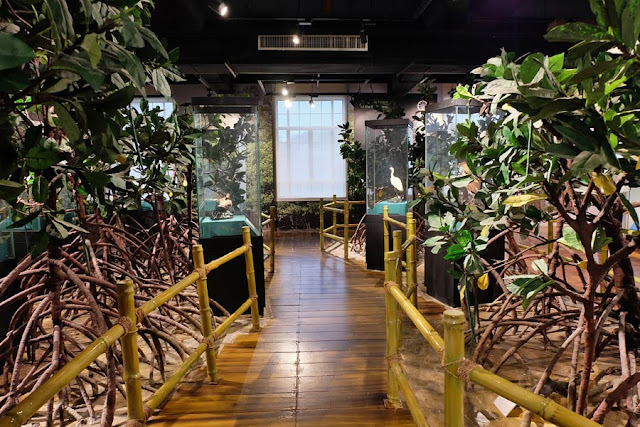 The mangroves and forests (pine forests, mossy forests, rainforests, etc) exhibits I thought were pretty awesome. 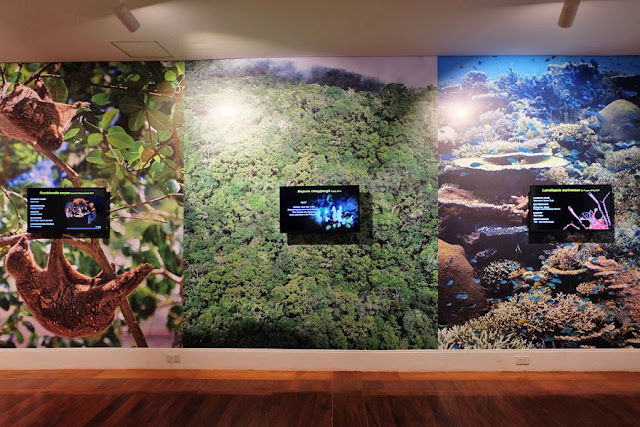 It was like walking through a mangrove/forest and observing the creatures that inhabit it. 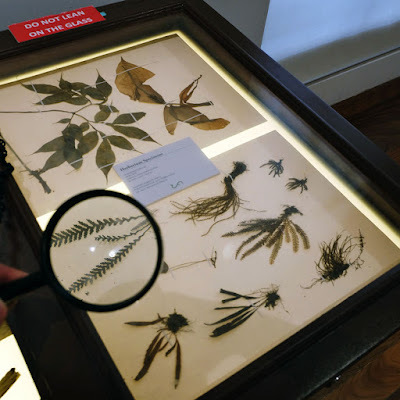 It was also interesting to learn about the animals endemic to the country. Some creatures I had only heard and seen for the first time: such as the weird looking bird called Philippine Frogmouth. 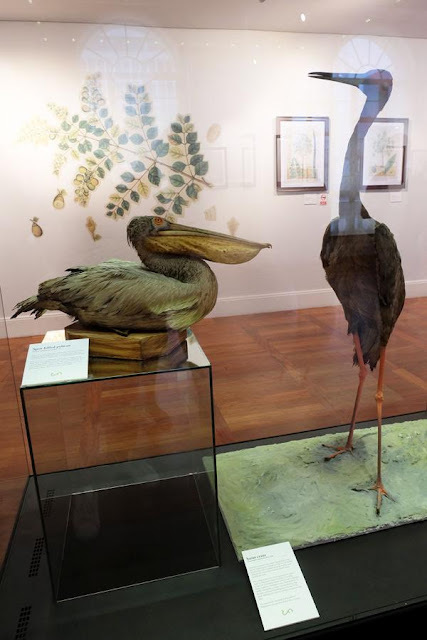 Two extinct birds in the Philippines: spot-billed pelican (left) and sarus crane (right). 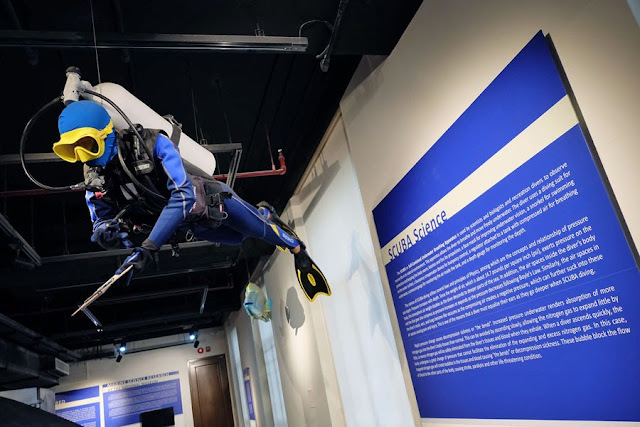 Of all the exhibits, my favorite would have to be about the underwater life in the Philippines. I love the sea but can only dream of scuba diving. 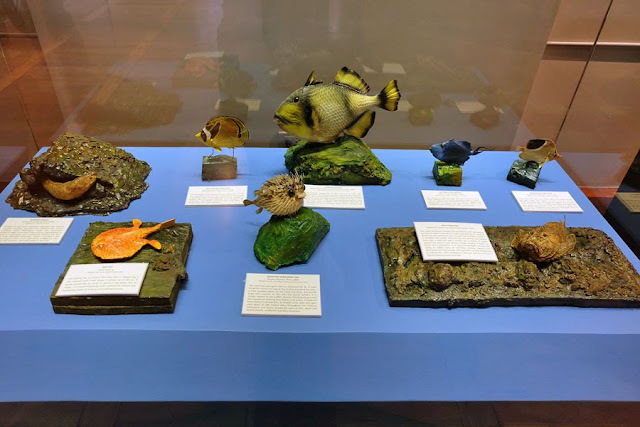 In this exhibit, I learned about some corals that I have seen while snorkeling, poisonous corals and creatures, and which areas in the Philippines we can find whales, dolphins and sea cows. Check out this corner to know where to spot whales, dolphins, and sea cows in the Philippines. The titan triggerfish (center, back row) attacked me in Gilutungan! 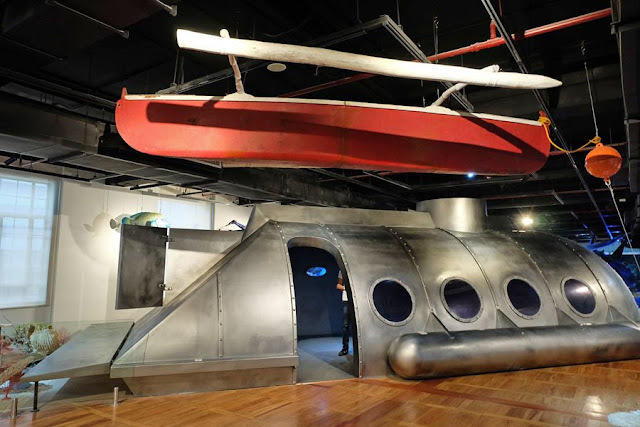 It makes me proud that we have these museums—National Museum of Natural History, National Art Gallery, Museum of the Filipino People—in the country! And then it makes me sad to learn how we have taken our natural resources for granted. 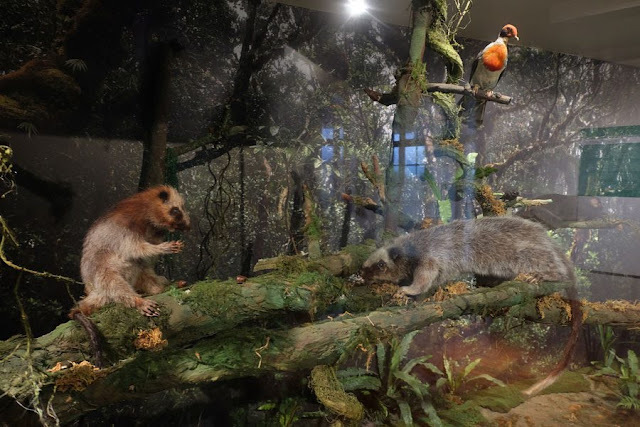 We have many animals endemic to our country, but are a threatened species (Philippine eagle, tamaraw, rufous hornbill, Visayan warty pig, etc) because of hunting and loss of habitat. In 1900, we had 70% of forest cover. 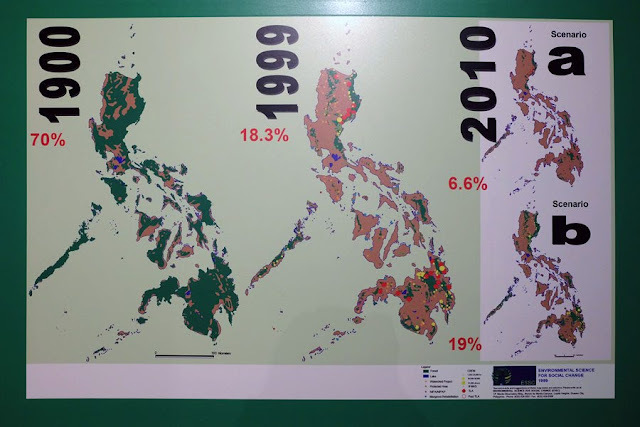 It is now 2018; the chart shows just data from 1999 and the projection for 2010! I shudder to think how little is left—if any at all! Directions: Take the LRT to United Nations Station. 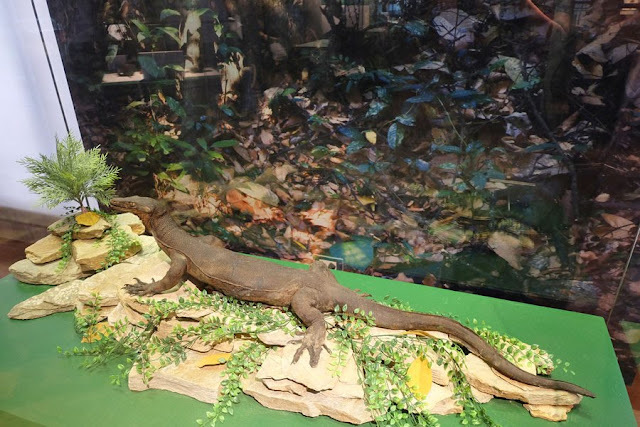 Walk 300 meters to the National Museum of Natural History. My travel buddy abandoned me in a cemetery in Taguig because I was a pain to be with. He wanted me buried in one of the plots there. Unfortunately for him, I was no hero. Just joking. He had to fly home on an emergency and I decided to visit a cemetery. But the first story would have been more interesting. I would have asked him to choose a spot next to one of the Philippine presidents. 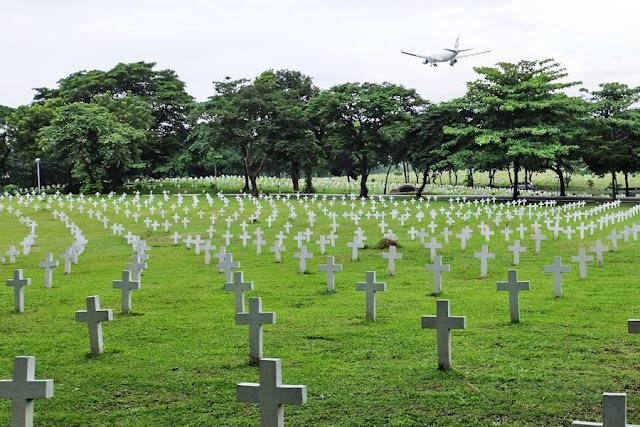 Libingan ng mga Bayani in Fort Bonifacio in Taguig is the final resting place of tens of thousands of Filipinos who have brought honor to the country: soldiers, statesmen, national artists/scientists, presidents. It was a gloomy and quiet afternoon when I visited Libingan ng mga Bayani. I found the graves of three of four Philippine presidents: Elpidio Quirino, Carlos Garcia, and Ferdinand Marcos. (I didn't see Diosdado Macapagal's.) Ferdinand Marcos's was being guarded by three soldiers and visitors had to write down their names on a logbook. Memorials were erected around the cemetery. One is the Tomb of the Unknown Soldier, with three pillars representing Luzon, Visayas, and Mindanao. There are memorials for the Filipino soldiers who fought in the Korean War, in the Vietnam War, and in World War II. And around the 103-hectare cemetery were thousands of white crosses marking the graves of soldiers. The stillness of the cemetery disrupted every five minutes or so by a plane flying overhead. When you suddenly find yourself alone in an unfamiliar place with no plan because your travel buddy had to fly back home on an emergency and he was the one doing all the planning: Keep Calm and Wander On. Happened to me in Manila. I had left all the planning to Brennan of Baktin Corporation telling him I would follow him wherever he went. But on the third day of the trip, he had to cut his trip short, and I had no idea where I would go for the 1.5 days left. Thank God for data plans, Google, and Grab. When you are stuck in a train in the middle of nowhere because they have suspended train operations due to heavy rain: Keep Calm and Weigh Your Options. Happened to a friend who was traveling in Japan. She was a third of the way to Shimosuwa from Tokyo, a 3-hour train ride, when the trains were stopped. She waited and it was eventually announced that trains wouldn't resume operation to where she was going. Luckily she had a friend living in a nearby prefecture who took her in for the night.